The Municipality of the County of Kings, the Town of Kentville, the Town of Wolfville, and the Village of New Minas are hosting the 10th Annual Nova Scotia Bike Summit on October 2-4. The summit includes a Friday Night PechaKucha mixer event, rides and workshops, as well as educational sessions on bike co-ops, active transportation, and more. 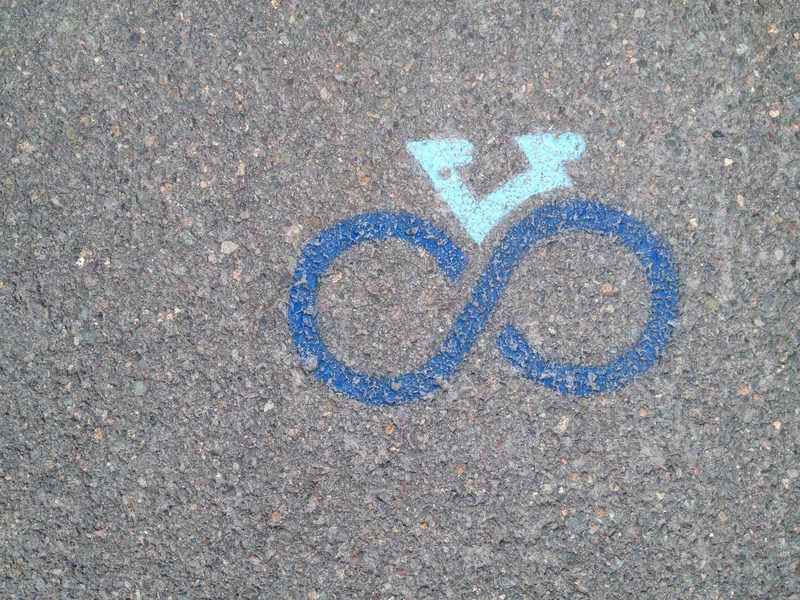 Program and registration information will be posted to http://nsbikesummit.ca/. * Registration should be up by September 7th. ** We are also looking for people interested in presenting at the PechaKucha style event on October 2nd. Have a cool bike story to tell? Get in touch and pitch your idea! abarnett@bicycle.ns.ca. Visit the BNS website for more information about the program and see what rides are happening in your area. BNS wants to send out a BIG thank you to everyone who joined in celebrating the Blue Route launch on August 6th in the Town of Pictou. The sun was shining and it felt amazing to be riding the first segment of our provincial cycling network with a crowd of over fifty people. Special thanks as well to guest speakers Minister Geoff MacLellan and Mayor Joe Hawes, and to the Town of Pictou, the Municipality of Pictou County and the Pictou County Trails Association for helping make the event such a success. Watching Minister of Transportation and Infrastructure Renewal Geoff MacLellan cut the ribbon at the launch was memorable for all of us, and it was special to see people in the crowd who have been part of the Blue Route initiative since it began eight years ago. The launch marked the first step in bringing the Blue Route to communities all across the province. That’s 56km down and about 2950 of bikeways to go! It’s ambitious, but all the more compelling because of the potential for widespread impact. We look forward to the road ahead and to working with the Province and communities across Nova Scotia to bring the Blue Route to life. BNS would love to have you join us in this effort, so please get in touch if you’re ready to become a Blue Route ambassador in your community or would like to learn more about the project. In case you haven't seen it yet, the Blue Route website is now up and running. This will be the main source of new information about the Blue Route as it comes up. You can sign up for Blue Route updates here. We will be sending out updates as they are announced so you will always be kept in the loop. We have mapped out the first section of the Blue Route here. We would love it if anyone has ridden the route and has any first impressions. If so, please contact us and let us know what you think! The Halifax Cycling Coalition is hosting a rally to ask Halifax Council to fix the Macdonald Bridge Bicycle Lanes. The rally will be on September 8th at 9am outside City Hall. We're asking council to vote yes to fixing the bridge bicycle lane approaches to make them safe and accessible for bicycle users of all ages and abilities. Show your support by coming out on September 8th, or by emailing your councillor to ask them to support a fix. When writing the email, please CC campaigns@cyclehalifax.ca so that we can track the response. If you live outside of Halifax, consider urging your MLA to support cycling infrastructure across the province. Fixes like the Macdonald Bridge will increase bicycle use, which improves air quality, saves the healthcare system money, and helps the province meet the goals expressed in the Ivany Report. Despite the fact that the days are getting shorter and shorter as the sun is rapidly moving across the equator on its way south, fall is the best time of the year to really enjoy cycling at its best and to reflect on the summer months. We offer a warm welcome to the fall and its change of pace, its warm colors, its short bursts of summer-like days, its hints of colder days to come, inviting everyone to dream of the joys of skating, skiing, playing in the snow or simply having a nice evening with friends around the fireplace. Please don’t hang up the bike yet though! You have fought gravity, you have pushed hard, you have reached your objectives, you have conquered, you have proven to yourselves that you could do it and you've done it. You have all climbed and are now riding on a higher plateau. Now don’t let this great shape drift down to the bottom of the hill. It is easier than you think to stay on top of the game; to maintain this well-being. Shorter periods of daylight will soon bring beautiful colours into the landscape. Under windy conditions and cooler temperatures of the fall season, cyclists favour the protection of forest roads at a more relaxed pace. Call a few friends, pack a light lunch, or better yet, arrange for a potluck lunch at the end of the trail and go! Lots of fun and surprises await. Moving through fall, winter, and spring is an invitation to improve and enhance your lives that will lead to new higher levels come next summer. Try new things, answer invitations to go out, create opportunities with friends, discover new experiences, find and enjoy new ways to remain active, actively work at developing your plan for the coming months. September is transition month and is a good time to slow down and look back to what has been accomplished in the past year or so. At Velo Cape Breton, we are proud to present what we’ve accomplished in the three main fields of our Mission: Promotion, Education and Advocacy. Between the end of April and early July this year, I was sent to Winnipeg, Manitoba on short notice for a career related course. Since I was going to be there for the majority of the 2015 MTB racing season, I brought my bike with me as I intended to participate in the various races and events within the province. I participated in a total of 7 races, 5 Manitoba Cup XCO style races, and 2 recreational XC races. My experience was very positive and I’m excited to share my experiences with as many Nova Scotia cyclists as possible. I’m very happy that I got involved, but I’m certainly happy to finally be home. Shortly after receiving notice of the upcoming career course, I didn’t waste any time jumping online to the Manitoba Cycling Association (MCA) website to see what kind of racing and events were happening within the province. Considering I was going to spend the majority of the MTB season in the area, I wanted to get some good riding in and maybe a race or two. Once I accessed their schedule, I was amazed about how active it was. They had the XCO style racing and a 5-race recreational series, similar to the Wolfville short track, known as the “Birds Hill Wednesday Night Racing Series”. They also offered a race series of what they call “Eliminator”. After 3 long days of driving, I finally entered Manitoba and started heading towards Winnipeg. I looked around and one single thought came to my mind – it’s flat; how hard can MTB racing really be in this province, right? I was wrong, very wrong. We all want to live in strong, healthy communities where residents are able to travel safely, whether that’s on foot or by wheel. That means our streets and connecting municipal infrastructure need to be in good condition. We can all play a part in making that a reality. Over the summer, municipal workers have noticed a number of markings on the streets around the Halifax region that appear to be flagging obstacles in the right-of-way. 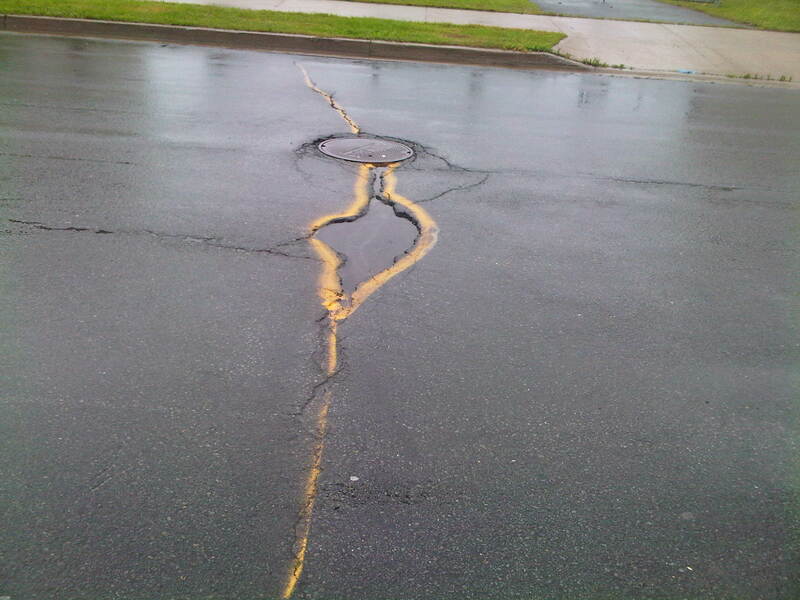 Supervisors with the Halifax Regional Municipality do regular patrols to identify such issues; however, these markings were not made by city staff and are causing some confusion for crews carrying out work orders for road, sidewalk and curb repairs. The municipality understands that whoever is marking these obstacles surely means well and just wants to flag potential problems for users, including cyclists, to avoid someone getting hurt. But simply spray-painting the problem doesn’t make it go away — there is a quicker, and more effective way to ensure this work gets done. We would encourage residents to report hazards through the proper channels to ensure there is a record of the complaint. Workers will be dispatched to do an assessment. From there they will mark the hazard, if warranted, until it can be fixed, and prepare a work order. There are roughly 1,500 kilometres of roadway in the region and our supervisors can’t be everywhere at once. If these issues aren’t reported properly, there’s a chance they won’t ever come to our attention. If anyone spots a problem on a municipal street or sidewalk, or any other hazard for cyclists, pedestrians or other users, it should be reported to the 311 call centre. Residents can either phone 3-1-1 and speak with an operator or fill out a simple online service request at https://apps.halifax.ca/311. Your report will be entered and you will receive a service request number that allows you to track the progress of the work. Ensuring our streets and sidewalks are safe for everyone is a big responsibility. We appreciate your cooperation year-round in helping to flag any areas that need work. Shore Active Transportation Association has had a busy summer. We had Anika as a summer student for 10 weeks promoting Active Transportation in our communities with activities and events. She worked on our Bike Week events and Lake and Shore Days, the community summer fair. Anika helped build a calendar for our web page shoreat.ca and added several weekly activities. As well as our usual morning bike rides and pole walking events she led an easy evening ride that brought out new cyclists. She also led weekly hikes to some great local locations and worked with the local recreation centers to offer Making Tracks information to youth. The community gained much from having her energy and enthusiasm for the summer. As fall approaches, we will be diverting focus back to cycling activities that will then morph into hiking and then into snowshoeing as weather dictates. Our usual outings are on weekday mornings and open to all, so keep active and come and join at any time. All information will be posted to our calendar http://shoreat.ca . Last minute changes due to weather will also be posted on SATA’s Facebook page. 1. 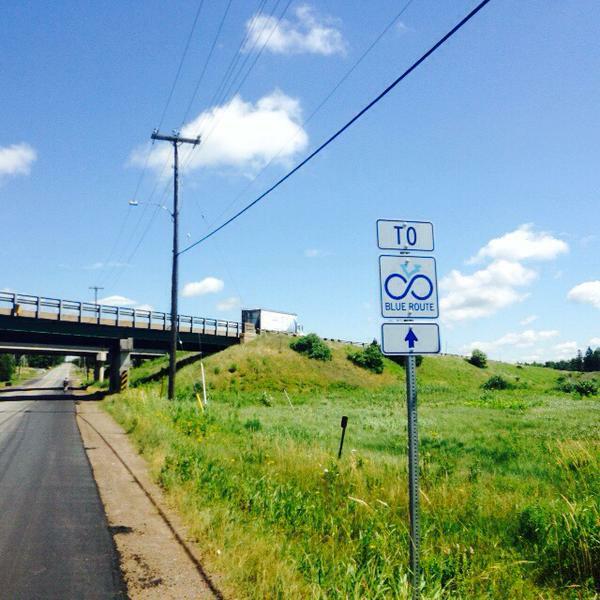 The Core Greenway – HRM is ready to put the first section to tender this fall. 3. Section behind Gaetz Brook School – We are seeking a Letter of Authority from DNR to work on this section and develop an Active Transportation Route to our Junior High. We have also applied for a Connect 2 grant for design of this AT Route. The Share the Road campaign has grown substantially in size and outreach over the last year. The campaign has successfully involved itself in multiple events and promotions, including community events that aligned with our core values, as well as holding its own independent events to raise awareness and gain support. DalTRAC, in partnership with the Halifax Regional Municipalities Crosswalk Safety Advisory Committee, hosted the first Crosswalk Safety Information Café in March 2015. In July, Share the Road Nova Scotia attended the kick off to the Heartland Tour event in Halifax with hundreds of cyclists. The Share the Road campaign also travelled to Bridgwater, Nova Scotia to participate in the seventh annual Growing Green Festival street fair, engaging with community members and local Nova Scotia movements. Share the Road has recently gained partnerships with municipalities in Nova Scotia, including the Town of Westville and Pictou County. The campaign has also developed a series of partnerships with other outfits, including Halifax Public Libraries, the Women on Wheels program, SuperNOVA camps, and Sportwheels Sport Excellence, furthering the exposure of the campaign. Share the Road has also committed to attending and engaging in the Switch Halifax Open Street event, as well as the Halifax Cycling Coalition’s Nocturne Event later in the year. The UNESCO Southwest Nova Biosphere Reserve Association with the support of municipal units in the region has collaborated with the Applied Geomatics Research Group (AGRG) of the Nova Scotia Community College (NSCC) Annapolis Valley Campus to launch a unique social enterprise project. The innovative “Touring Through Time/Une Tournée Dans L'Passé” smart phone/tablet ‘Map App’ provides information and website access to towns, attractions, transportation, accommodation, weather, tide times, and user location within 5 Counties under “Culture, Outdoor, Seacoast, and Lighthouses” headings. The ‘App’ facilitates booking arrangements and encourages visitors to stay and enjoy the southwestern region as a destination area. The “Touring Through Time/Une Tournée Dans L'Passé” ‘Map App’ can be opened by cell phone or desk top computer via http://swnovabiosphere.ca/our-projects/web-app/. It is also accessible on the website http://www.swnovabiosphere.ca and on the Nova Scotia Tourism Agency website http://www.novascotia.com/see-do/attractions/unesco-heritage-sites in the ‘Top 25 Attractions’ section. ** Get a full listing of events happening all around Nova Scotia at the BNS website. 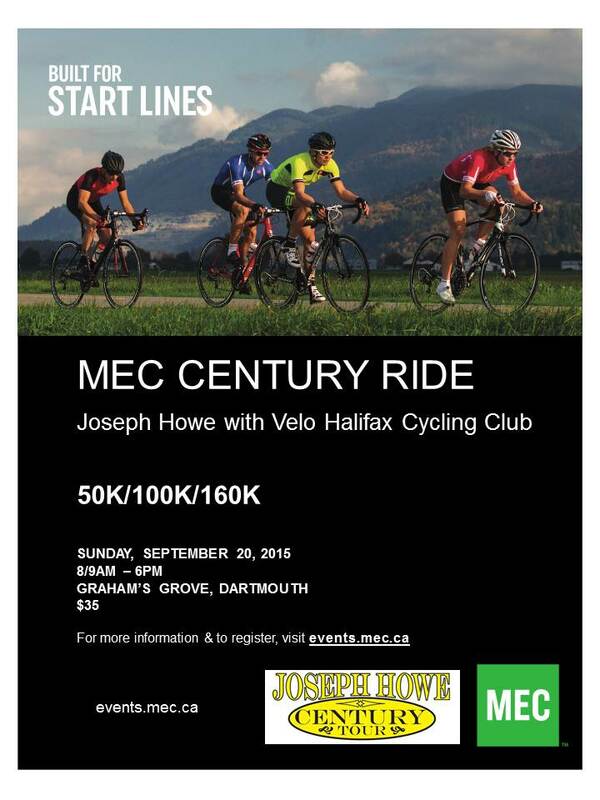 Come join us for the MEC Century Ride! This year there are 3 distance options. Please find attached our poster for our upcoming charity ride in the beautiful Annapolis Valley, Nova Scotia on Sunday September 20, 2015. As our third year organizing the event, we have made the 2015 ride even better! We have added 4 different distances - 120km, 90km, 60km, and 30km. Each one offering something a little different. They include such things as locally inspired food/rest stops, lunch stops, wine sampling, cheese sampling, post ride BBQ, and fun for every level of rider. Also included is full ride support by professional mechanics, and professional ride leaders that are there to make sure you enjoy the ride. 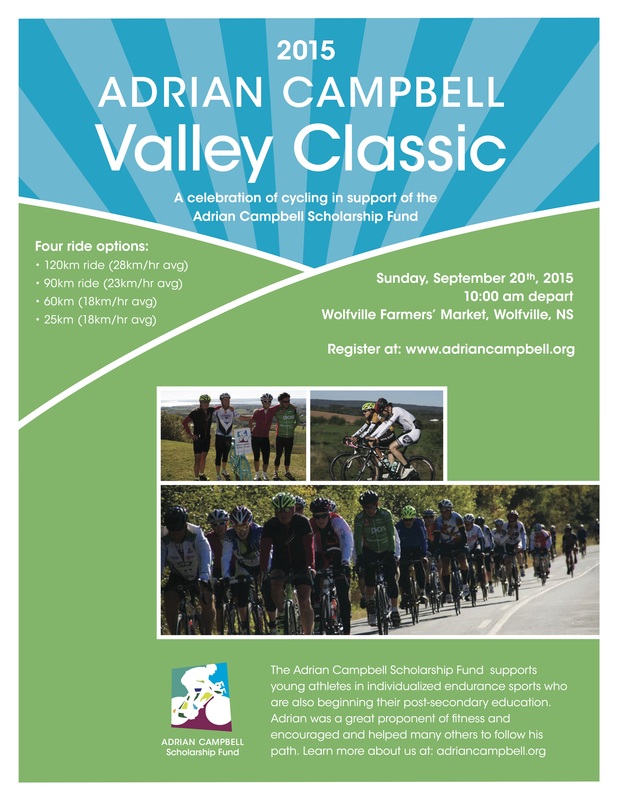 The ACVC raises funds for a scholarship fund for graduating grade twelve students attending secondary education that excel in school but also individual sport. Our first three winners include two cyclists and one triathlete. Would you be so kind as to print and post in your establishment?